Get ready for a truly memorable adventure on the border between two great continents! This 10-day holiday will be like a changing kaleidoscope of mountain hikes and cultural discoveries. Explore the undiscovered and fascinating parks of the Ural Mountains, have a real Siberian countryside experience while visiting remote villages, get to know the vibrant life of Russian large cities and see the world-famous sights of Moscow. 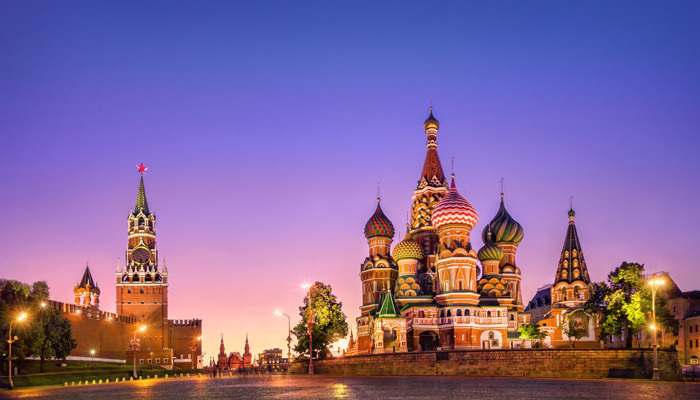 * Explore Moscow, the “Mother of Russian cities” with one of the most recognisable sites in the world – the ensemble of the Kremlin and the Red Square. 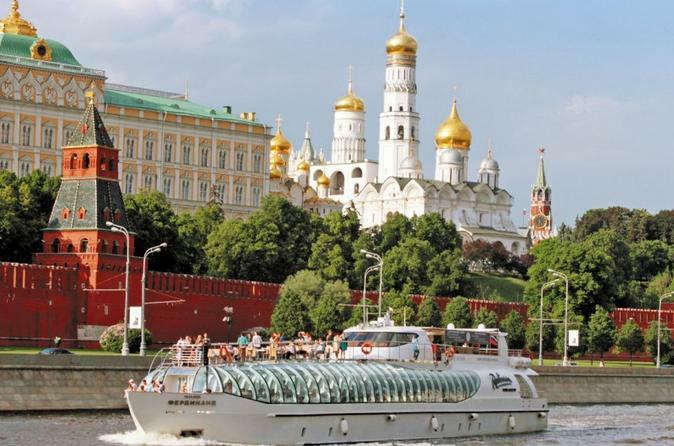 Upon arrival in Moscow, you will go on panoramic tours of the Russian capital to see all the must-see sights and make a first impression of this ancient capital and modern megalopolis. From the breathtaking views of the symbols of Russia – the Kremlin and the Red Square, to the masterpieces of the Stalin-style architecture – the “Seven Sisters” skyscrapers, the astonishing architecture of the Cathedral of Christ the Savior, and finally the futuristic Moscow city district. Boarding a night train to the city of Perm, a gate to the Ural Mountains. Overnight in a comfortable sleeping compartment. Spend the morning and afternoon on the train. Travelling long distances by train is a very common thing to do for Russians and a provides truly authentic experience. Times flies while you’re observing the ever-changing landscape, stopping in peaceful provincial towns and perhaps getting out on the platform where local babushkas sell home-made pies, snacks and authentic souvenirs to travelers. Playing table games and cards, reading or chatting about life with your travel companions are other common things to do on board the train. Hungry? 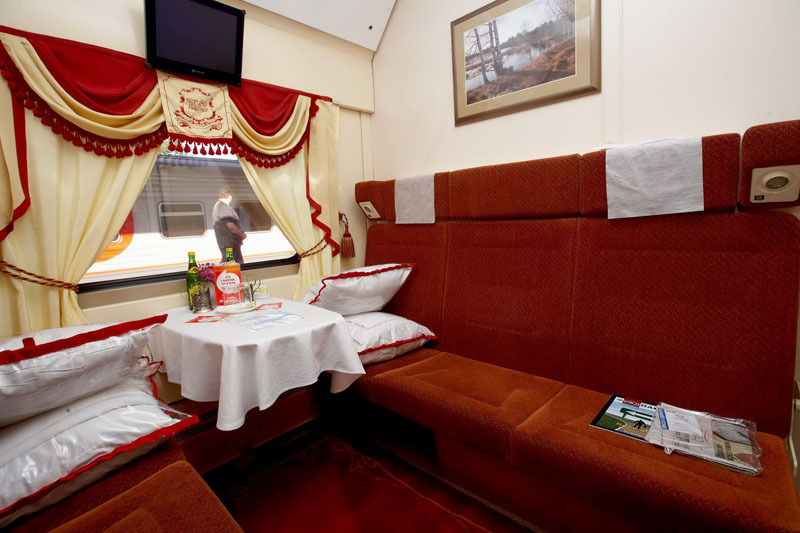 Try some traditional Russian cuisine and have a shot of vodka in the train’s restaurant. Evening arrival at Perm and check-in at the hotel. Your Ural adventure will start today. 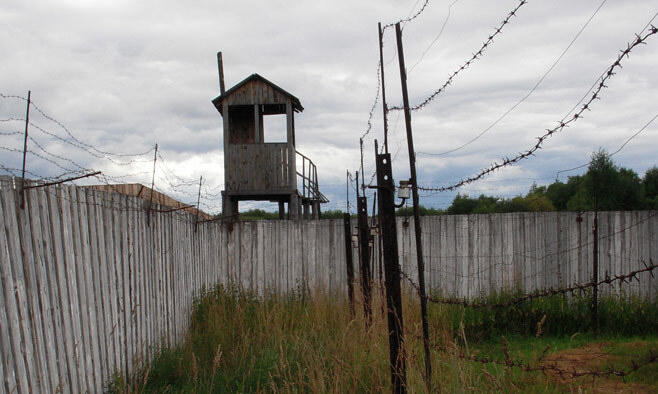 Learn about some of the most difficult parts of Russian history, right where it happened, by visiting the only GULAG museum in Russia. This forced labor camp located 100 km from Perm was one of the most prominent Soviet detention centers for political prisoners. Visiting the labor camp is a truly memorable experience that will introduce you to the history of the Soviet Union’s forced labor camp system and its impact on Russia and the world today. Spend the rest of the day experiencing the incredible and largely undiscovered landscapes of the Ural Mountains. 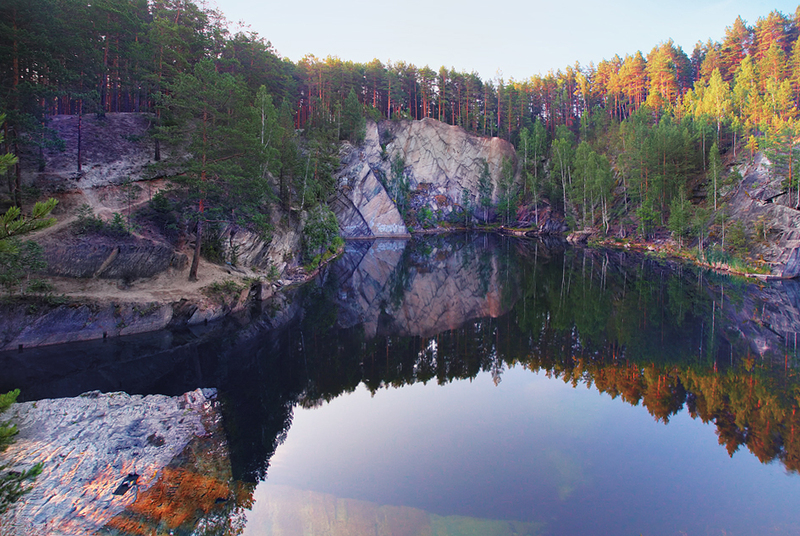 Start exploring it in a real showcase of Russian nature while hiking in the Usvinskie pillars. This is a unique mountain range with towering cliffs that can reach up to 120 meters that stretch a few kilometers along the bends of a river. Here you can find caves and grottoes with traces of the lives of its ancient people. Enjoy a breathtaking view from “Devil’s Finger” – a 120-meter-high cliff. There is an opportunity to make one half of the trip using a catamaran. This morning guide will show you the most interesting places in Perm. The route is located on the conventional border between Europe and Asia in the Ural Mountains. Russians are big fans of opera, ballet and art. Indeed, Perm also has an Opera and Ballet Theatre and State Art Gallery that are really worth visiting. The Ural Military Glory Museum would be interesting for those interested in history. Go for a walk along the Kama River and discover that happiness is closer than you might think. In the afternoon you will proceed towards Yekaterinburg, the capital of the Ural region and the first major city in Asia. 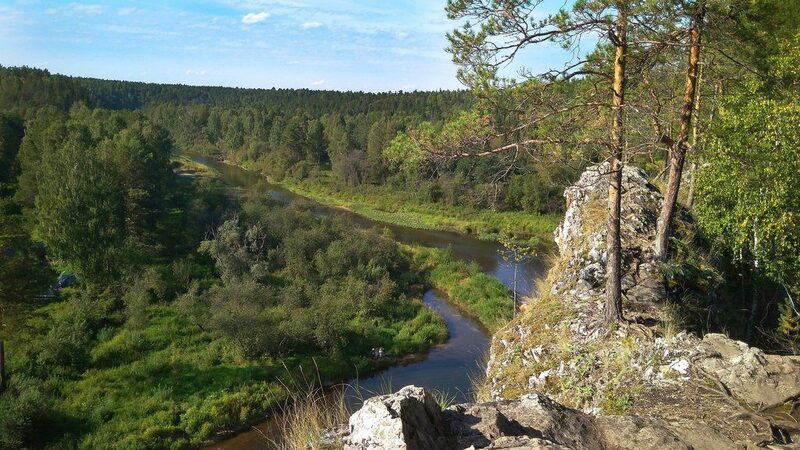 Today you will hike in the picturesque park in the Ural mountains. You will enjoy the magnificent nature of the park: the taiga forest, rocks, and pure ponds, and then climb a hill to admire the scenery of the Ural. Moreover, you will get a chance to explore a typical countryside area and visit an authentic village with wooden izba houses and churches. Another day trip will bring you to a pretty mountain province. Surprisingly enough, the life there hasn’t changed much in the last few centuries. It’s like a journey back in time to a world of remote Siberian villages with authentic lifestyles. You will walk along a river, pass by old Russian villages and have a Siberian countryside experience while visiting Koptelovo village – a living ethnographical museum. 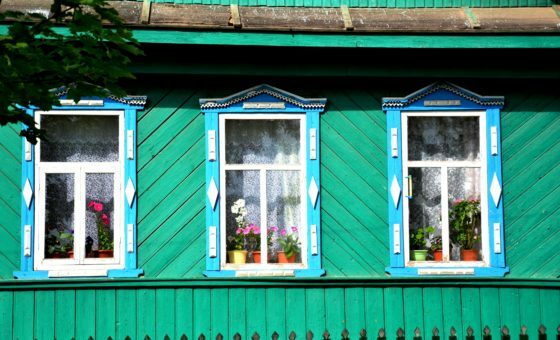 Be a guest of the singing Siberian Babushkas and other inhabitants of Koptelovo. Here you can go inside a 17th century house built without a single nail and find out how 18 people could fit in at once. You will see how young girls used to dress up in order to get married as soon as possible. 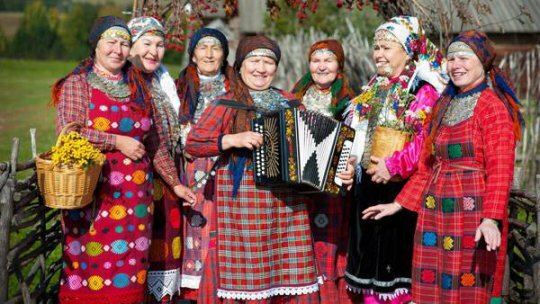 End the day by enjoying a traditional Siberian dinner with tea from Savomar, and enjoy a merry folk performance of babushkas. We keep the best for the last day of hiking in the Ural – fantastic hiking trails in ta nature park that traverses birch forests and lichen-steeped caves. Hiking here is great fun with hanging bridges, scenic viewpoints, archeological sites and plenty of wildlife. You will observe how the forest steppe transforms into mountain taiga and visit some of the 48 ancient caves in the park. Several of these have fascinating rock painting of Finno-Ugric hunters who lived in the caves in 4,000 B.C. Turn this hiking into a safari experience with good chances to spot some wild life – wild boar, beavers, elks and even a bear. 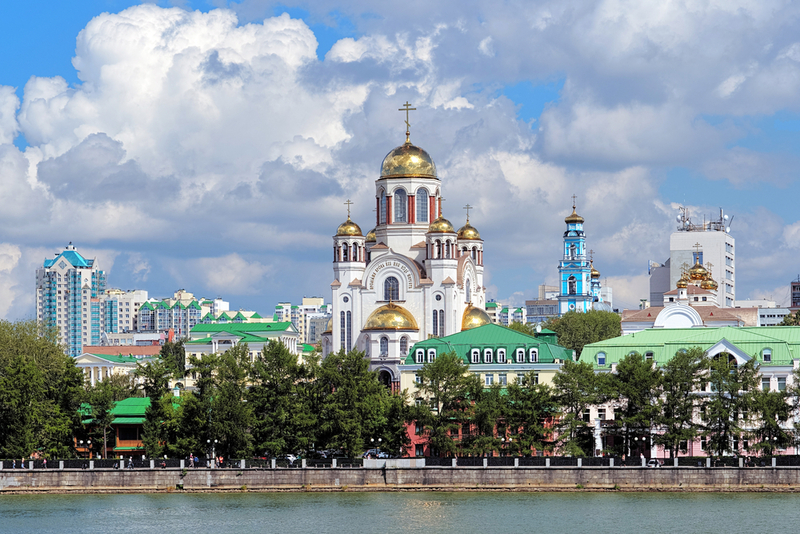 This day is devoted to exploring Yekaterinburg – a rapidly growing metropolis built on the border of Asia and Europe. Yekaterinburg developed in the times of the Siberian gold rush of the 18th century and preserved its outstanding old merchant mansions. You’ll then go on a city tour dedicated to the last days of the last Russian tsar, Nikolai II. You will see the Church on Blood erected to commemorate the tragic historical event where the Bolsheviks killed Nikolai, and the orthodox monastery considered to be the pearls of Russian construction. In the afternoon you will actually step on the boundary of two continents (Europe and Asia) and visit the memorial built on this special place. Early morning flight to Moscow. This afternoon you will see other fascinating highlights of the Russian capital – its famous Metro and Arbat street. This tour introduces the history and architecture of the Metro subway system. 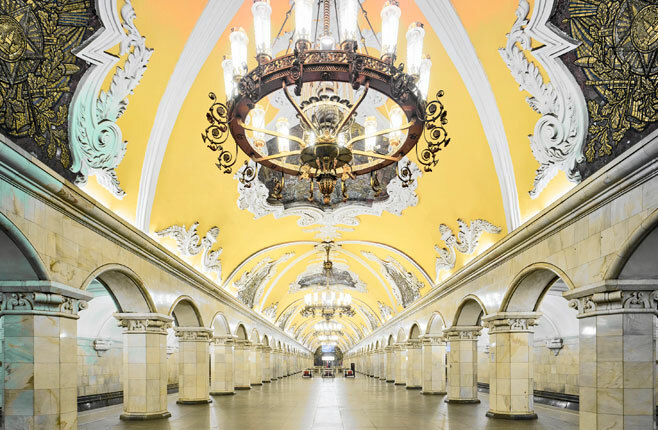 It also includes trips by Metro to see the most famous stations uniquely designed with decorative elements including mosaics, statues and marble staircases. You will proceed to Old Arbat street, one of Moscow’s oldest streets. The street has gone from being the headquarters of Ivan the Terrible’s secret police, to the center of aristocratic life in Moscow in the 18th century, to finally being the center of Russian bohemian life. Finally, enjoy a farewell dinner at a traditional Russian restaurant to appreciate the signature dishes of Russian cuisine with a folk show. Your tour ends today, but we invite you to book an extra night to continue exploring Moscow and experience more of what this amazing city has to offer. 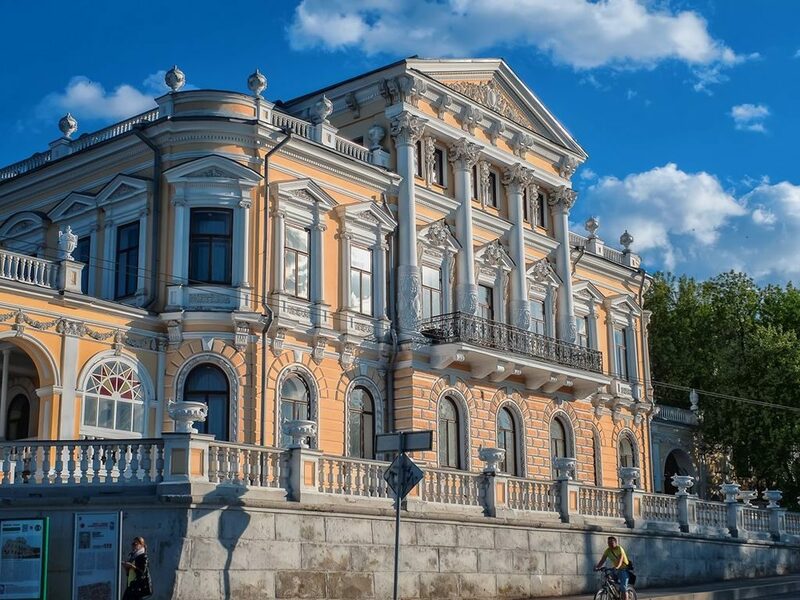 We will be happy to assist you with many options, such as a visit to a world-class ballet, a circus with a long-standing tradition of incredible performers, a river cruise to enjoy the amazing views of the Kremlin from water, and so much more. In this incredible city, such simple things like taking the metro can become an unforgettable experience, because many of its stations look like a luxury palace decorated with dazzling mosaics, chandeliers and ornate columns.